Paris Greeters is a great initiative. Local residents volunteer their time to take fellow visitors like myself around their neighbourhood and bestow a bit of culture, interesting facts and sites and warm Parisian friendliness. 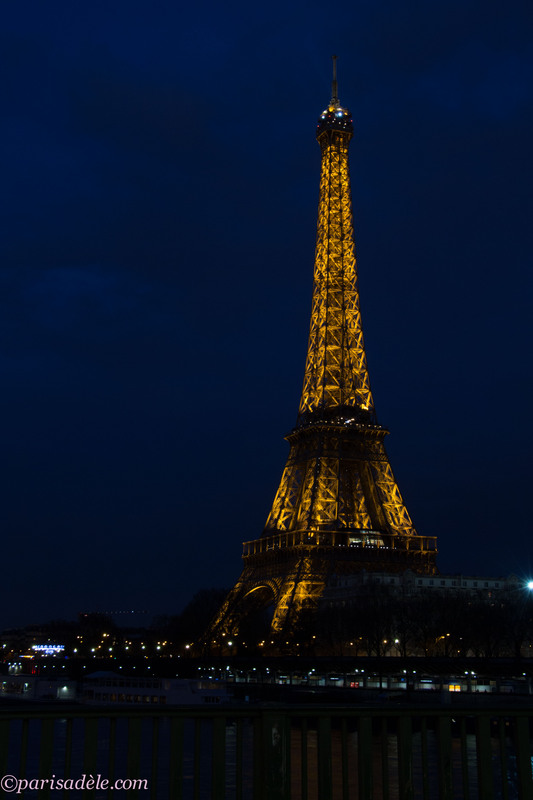 This is my third consecutive year to donate to the cause and learn more about the city of Paris through the eyes of a local. 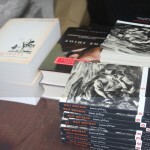 Didier was engaging from the beginning. We exchanged a few emails back in November, asking me what I would like to see and what my interests are. I have not had this type of communication from the other two people before my visit and it was welcoming and exciting. He had changed our date due to work commitments which wasn’t a big deal for me, I was more flexible than him but after my broken toe, I wondered whether I would be able to participate. 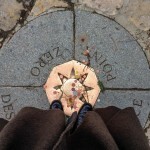 Last year I partook in a very memorable walk with the delightful and knowledgable Therese. 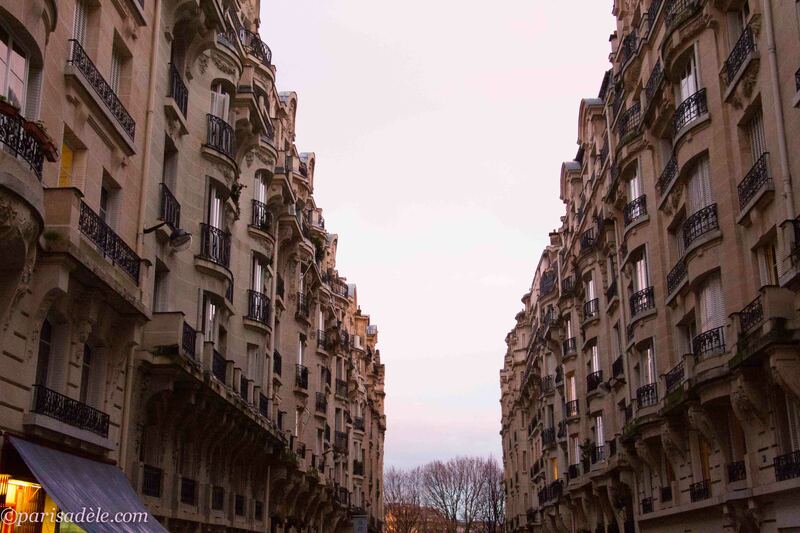 A lover of architecture, together we explored her area of the 12th arrondissement for six hours! Of course this is not normal, generally the donation based walk lasts for an hour or two but we were having such a great time, we continued walking. Feeling more mobile, I emailed Didier and asked if we could keep our scheduled walk. He asked if we could move it an hour later as he had a lunch appointment, you know how French lunches can be he joked. Passy was where we were to meet. 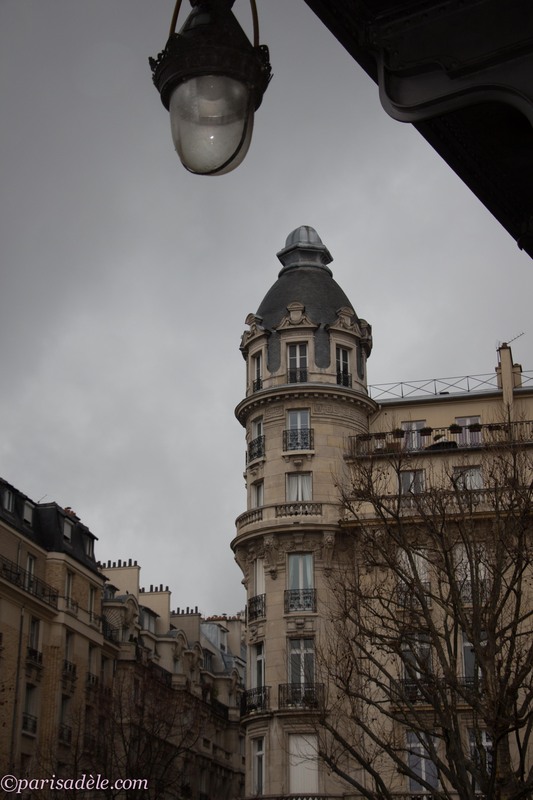 Although I have stayed in Passy before, I didn’t know it’s nooks and crannies and there was a street in particular I wanted to visit but decided to wait and see if this was on Didier’s agenda, if not I could go back later. From the moment I submerged from the metro it started to rain. Weighed down with camera gear, I was doubtful that I would be able to use it today. Although I went to great effort to explain my appearance and to make myself recognisable, I then remembered the wonder shoe. I will be the one with the funny shoe on. I see you already he replied, but I had no idea who to look out for. I climbed the steps to the street, resisting to put the umbrella up at this point. A woman approached me, more directions I thought. 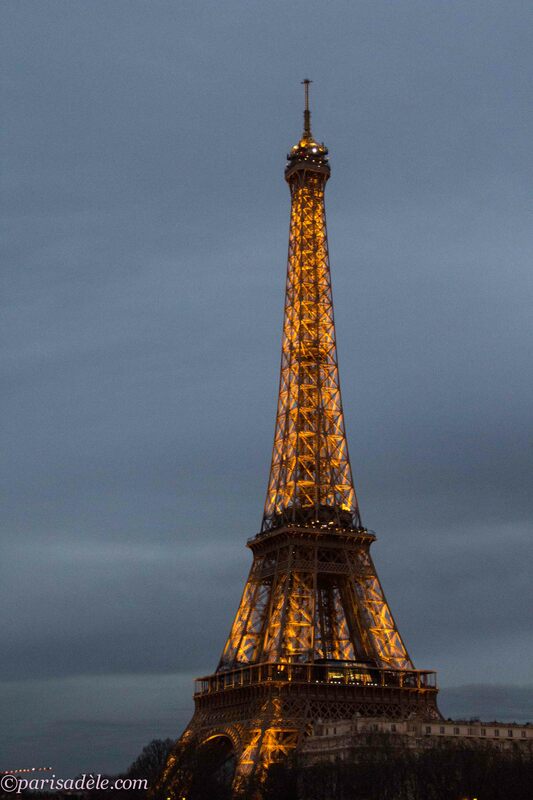 Sometimes I feel like a traffic cop, when I am in Paris. 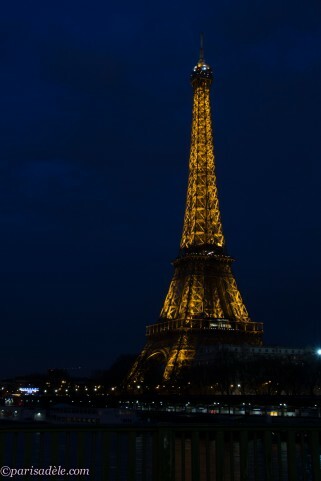 I don’t know why everyone seems to choose me to ask for directions, normally Parisians and nine times out of ten I am able to help, when they leave with a thank you Madame and a slightly embarrassed or bemused look upon their face that a tourist offered them directions. Are you Paris Adèle, she asks. Maybe I have become famous for my directional skills, that they now know to ask me by name! Didier is ill, he cancelled his lunch and he is at home very sick, I am his wife. Slightly disappointed but also relieved, the rain was getting heavier and we were getting soaked. I had already decided to visit a nearby museum. There was no point attempting a walk today. So, therefore I will take you instead she continues. Trying to back out and give her an out also, no no no, don’t worry, we can schedule another day I offered but she was insistent. By this point the rain was bucketing down and only wearing a short jacket with no bag, I wondered whether she had brought an umbrella. The plan was to do a wide sweeping walk around the Eiffel Tower she tells me. 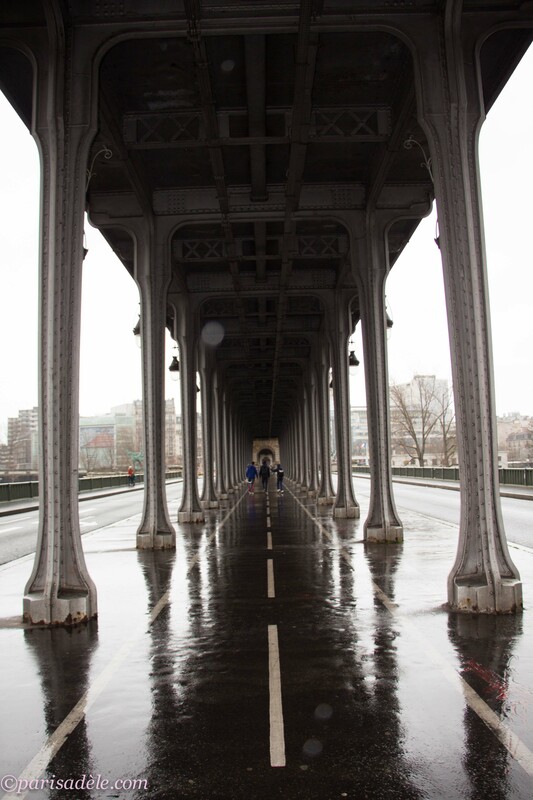 Standing under the bridge, Bir Hakeim that carries the overhead metro line, the wind and the rain was whipping off the Seine like a gale and the Eiffel Tower was barley visible. 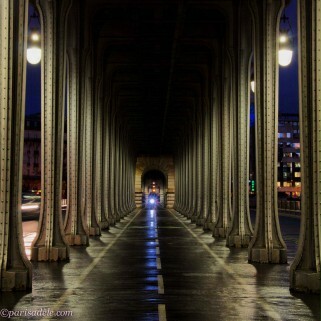 My original plan was to photograph under this bridge when I first arrived in Paris but never eventuated. Pulling out the camera, determined I took a couple of shots, this was not good, my coat was soaked and I didn’t want to risk water damage to the camera. I try to decline the offer of the walk again. But she is off with me hobbling behind, our umbrellas barely keeping us dry. 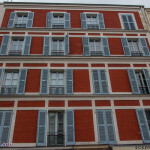 Walking through the main streets of Passy, memories flooded back to a time many years ago when I stayed in a hotel here, recognising the hotel as we walked passed, I remembered it was raining back then too. 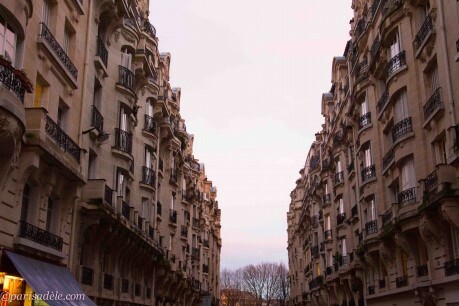 Passy is one of the most wealthiest districts in Paris, in the 16th arrondissement of the right bank. Once a commune outside of Paris but later included in 1860. 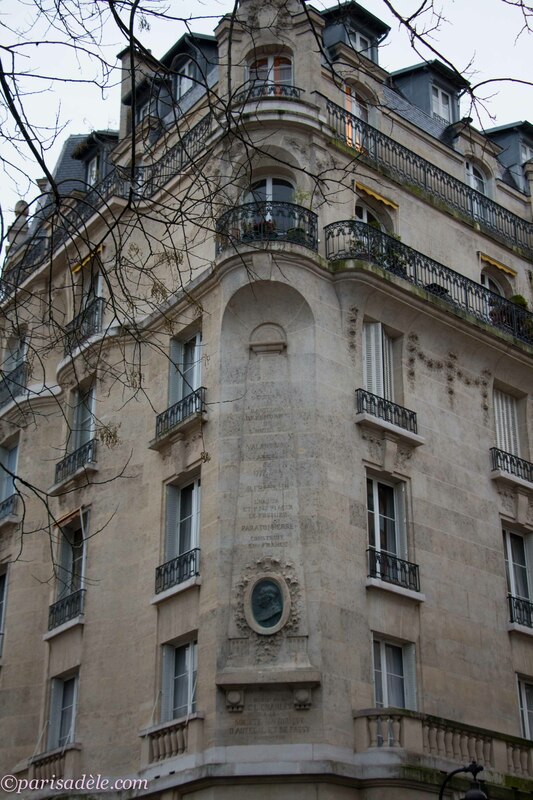 Benjamin Franklin lived here and the Italian composer Rossini, died here. Didier had mentioned that he would take me through the Passy undercover market, although I had visited it before, he had promised to help me buy some cheese, it was closed but soon to open but we didn’t bother to wait. 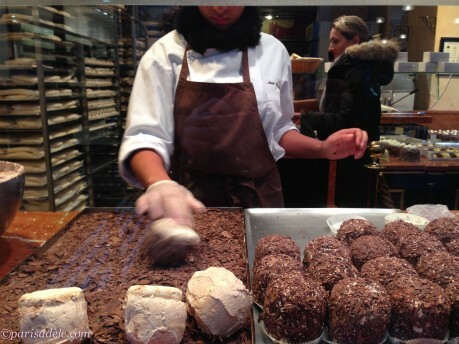 He had also promised to take me to his wife’s favourite shop, if you like sweet things, he mentioned. Not really, I was more interested in cheese. This is my favourite cake shop she tells me with a huge smile upon her face, as we watch the women inside the small shop with chandeliers hanging from above, rolling chocolate onto the outside of meringues, larger than the average woman’s hand. Didier did mention this shop, I tell her and it did look good. Shall we have a small one, I ask her. She looks slightly disappointed. Maybe we can share a large one she offers and we venture into the the brightly lit shop with nothing else except meringue. Aux Merveilleux de Fred it is called and this is all they make, meringue. They don’t just make it, they specialise in it. The young women inside clearly recognised Didier’s wife as a regular and were bright and cheerful. 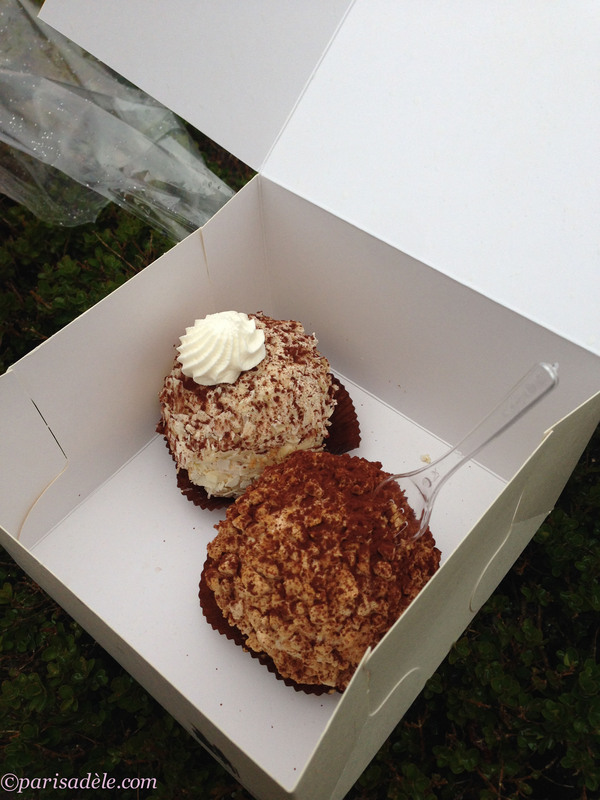 I succumbed and we walked out with a Merveilleux each presented in a box with two small forks and napkins. The rain had eased enough for us to collapse our umbrellas but it was still slightly raining. I know a place where we can go, a garden where we can eat the ‘marvellous’. You have got to be kidding me. I felt like breaking out into song, ‘someone left the cake out in the rain’, well in this case the meringues in the rain. We descended the steps of La Maison de Balzac and noted that their French flag that is usually flapping in the breeze was taped up into a small spiral, unable to lower it to half mast on the short pole, this was the best they could do in memory of the lives lost at the Charlie Hebdo magazine. The rain had finally stopped and I relaxed. 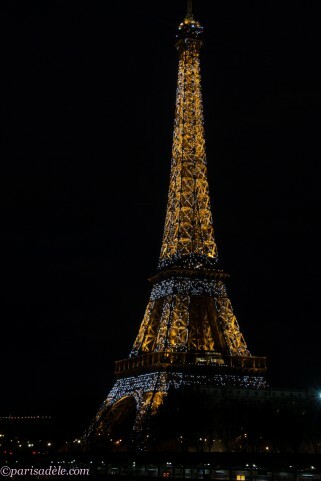 We opened up our box of marvellous meringues and devoured them while we took in the view of the Eiffel Tower. Now I understand what all the fuss is about. Light as a feather and absolutely delicious, marvellous! 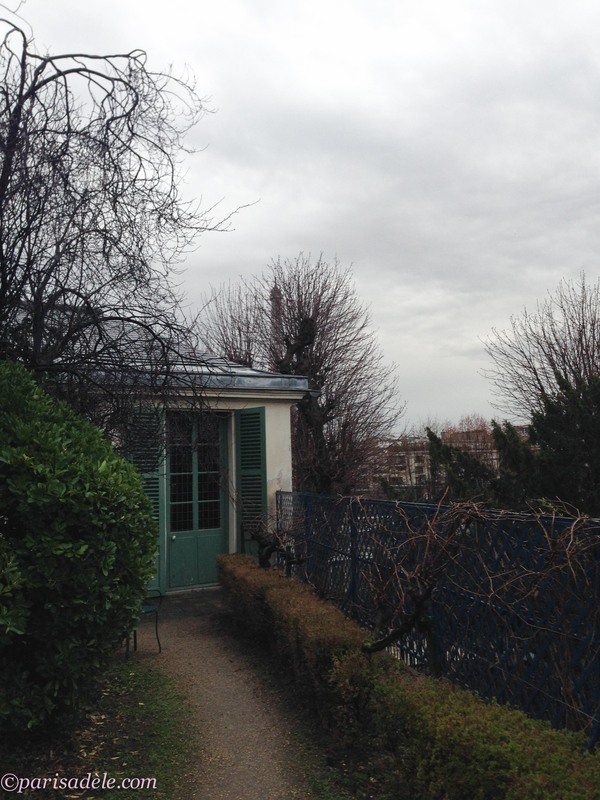 Sometimes, in the summer or spring, Didier and his wife come here with a picnic lunch to enjoy the gardens of the former home of the writer Balzac. Seeing the Eiffel Tower from this perspective, high up on the hill it looks small and it reminded me of when I had visited Paris with my friend who was ill with cancer. 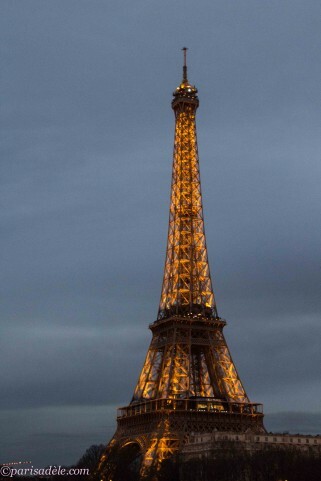 The Eiffel Tower was so much bigger than she had envisaged. 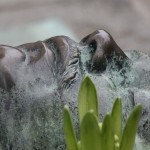 Didier’s wife thoughtfully listened as I reminisced and it seemed to bring us closer together. 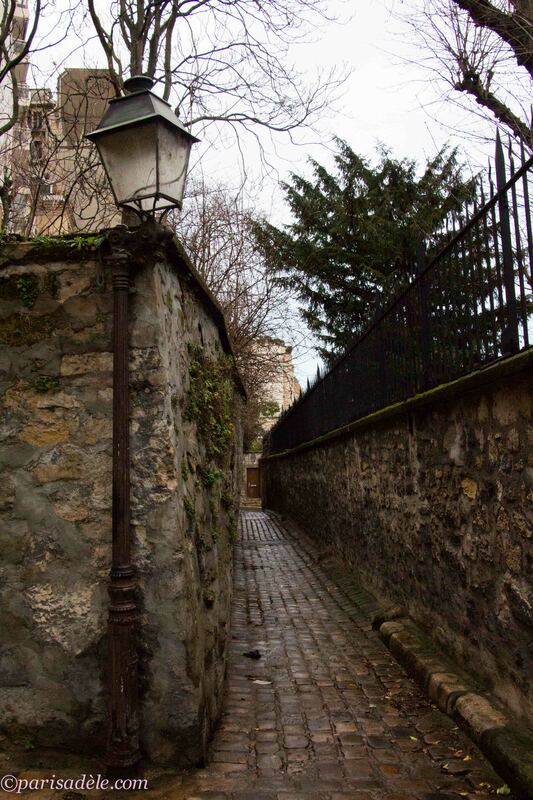 I was happy to learn that Rue Berton the tiny ancient cobbled street was next on the agenda and the fact that the rain had stopped meant I could take some photos. 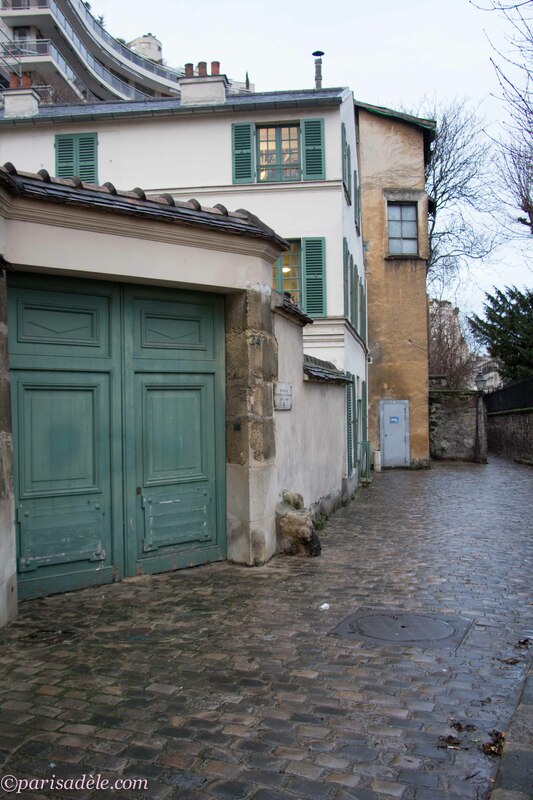 The story goes that the green door you see here was one of the main reasons Balzac chose to live here. An extra doorway onto Rue Berton was an easy escape when the tax man came knocking at the front door, slipping out through the back, he could escape down the narrow alley-way and avoid paying his taxes. Well wouldn’t you know it, as our walk was coming to an end, so did the bad weather. 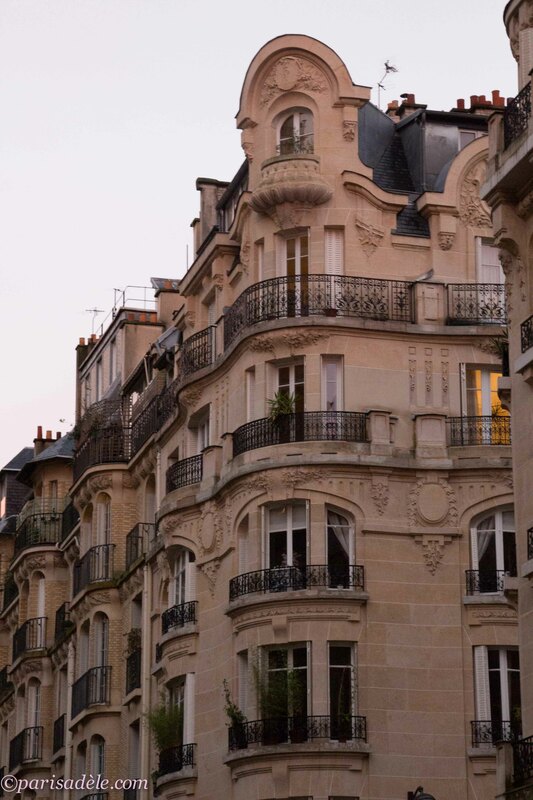 That gorgeous afternoon winter’s light that bounces off the buildings of Paris, projecting a golden glow was now working it wonders. 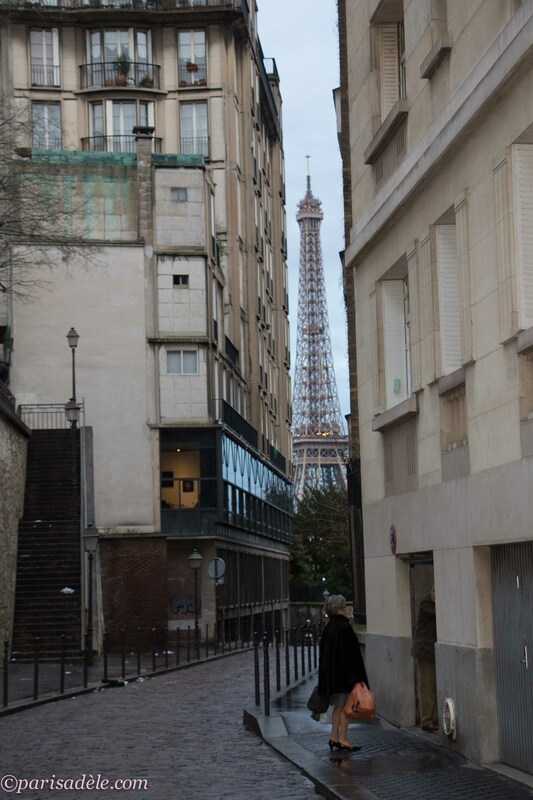 All I could think about was running back to Pont Bir Hakeim and taking photos of the changing sky with the Eiffel Tower in the background and perhaps if my foot was up to it, I may have said my goodbyes and pounded the streets. But this would have been rude and Didier’s wife was so gracious to meet me in such challenging conditions, leaving her sick husband at home and honouring his rendezvous that regrettably, I watched the beautiful sky slowly fade. 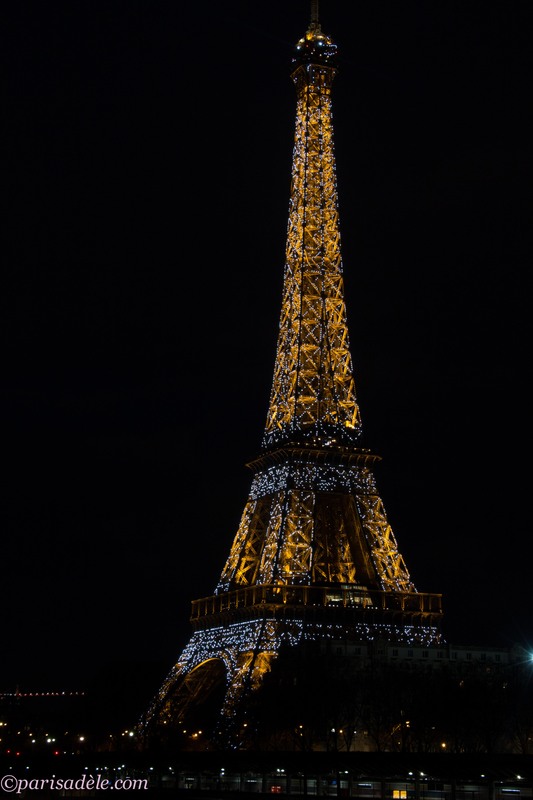 Only moments after I set up the tripod, the time clicked over to the hour and the Eiffel Tower started to put on it’s spectacular display of twinkling against the fading sky. A bridal party, weathering the storm and the nippy wind coming off the Seine posed for photos under the Bir Hakeim bridge. Maybe a couple of hours slipped by and it was freezing and the wind wasn’t helping slow exposure shots with my flimsy, light weight tripod. My fingers red and numb with the cold wasn’t making it easy for operating the camera, somehow I have managed to lose my warm cashmere gloves. Concerned about me being under the bridge with expensive camera equipment and wondering how I would get back to the Marais, Didier’s wife had kindly suggested I take the bus, number 72, instead of the metro, less steps she smiled. Whisking me along, directly to Hotel de Ville with a gorgeous view of Paris along the way, all for the price of a metro ticket. Passing the Eiffel Tower, The Grand Palais and Place de la Concorde, was a nice warm way to end a rainy day in Passy and I managed to get that shot under the Bir Hakeim bridge. 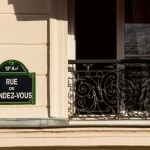 yes Paris Greeters is a great idea, I hope you try it. It is free but you should donate, as the people donate their time. And no that was a young woman rolling the meringues, they are all women in the shop. Maybe the movement makes her hand look big, she is fast with light fingers. 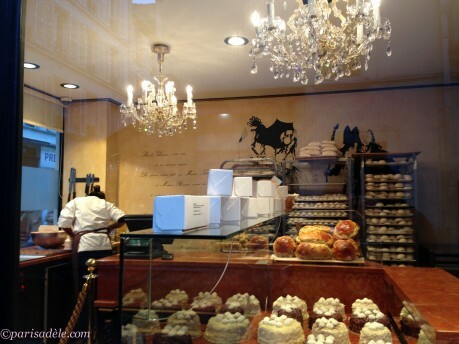 Check it out next time you are in Paris … delicious, or marvellous as they are called!